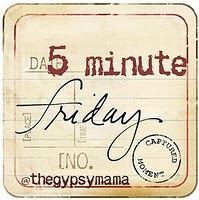 It's Five Minute Friday when I link up with Lisa-Jo of The Gypsy Mama. We get to write for five minutes flat on a word we're given each week. The word for today is VIEW. 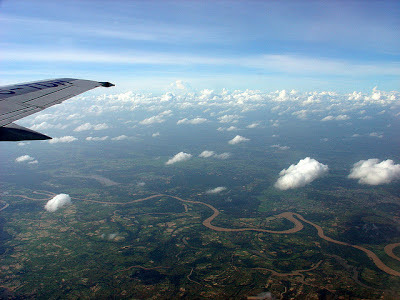 I've experienced my share of turbulence while riding in airplanes. That up and down agitated motion causes my stomach to drop. Looking out the window, I can't see much except the color gray. I hope the pilot knows what he's doing. Just as suddenly, the shaking motion stops and we're cruising above the clouds at a higher altitude. I can breathe easier now. Sometimes life seems like that. I don't always get to see everything clearly. Life becomes turbulent and I don't know what will happen. Changes occur that I hadn't planned. My perspective is blurred and I don't like it. And yet through the turbulence I've learned to trust my Navigator. Psalm 63:8: "My soul clings to you; your right hand upholds me." My view isn't clear right now. But one day it will be. In the meantime, it's my faith in God that propels me on. So true! And just like you have to trust that the pilot knows what he's doing and how to get you through the turbulence; you have to be secure that God knows what he's doing and will see you through the tough times in life. This is one of my favorite verses ever. To me it speaks so beautifully of Pappa's prevenient grace. When our hearts follow hard after Him, He has been upholding us all the time! I'm lovin' how God works because I just wrote a piece for next week on John 6:20-21 which complements yours here so well. Jesus walked on the water to the boat of scared disciples saying, "Don't be afraid." and when they welcomed Him into the boat they were immediately at their destination. (NLT) That is the faith we need to have and project every day ~ no matter the storm or the turbulence. Have a wonderful holiday weekend and rest after the long (but lovely) school year! Love this! When we can't see clearly, we can rest secure knowing He holds us. Have a beautiful weekend! I know exactly what you mean about airplanes! Love your words here, you always bless me!